established, so the port used for this connection was closed. 1. 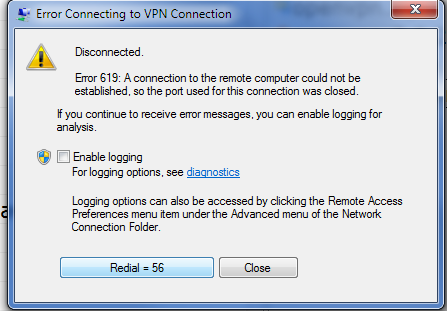 Make sure your Router Supports PPTP Passthrough. If you don’t know what this means or how to check, ask us for help! 2. Make sure you Allow Connection/Trusted Connection under Your Firewall Application. Also Try to Disable Firewall and Re-connect. 4. Use a different network connection.